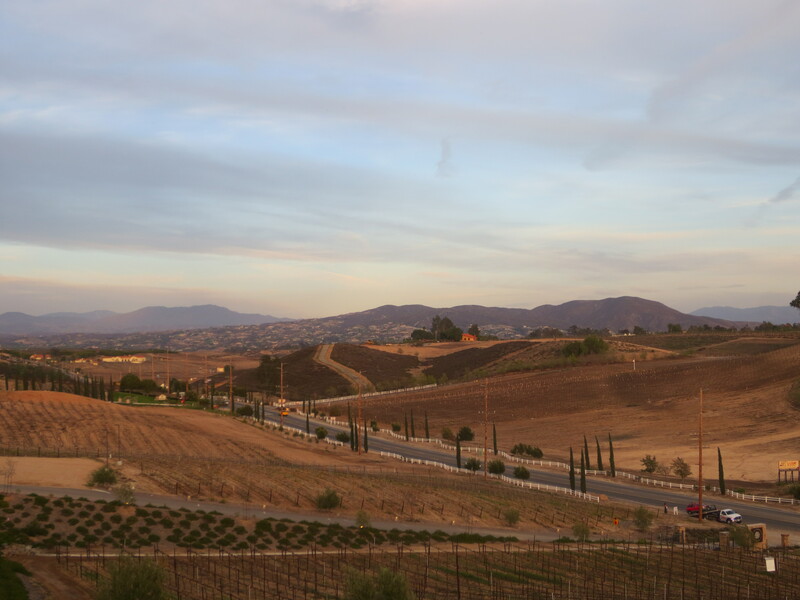 The Temecula Valley is brimming with wineries and tasting rooms just 60 miles north of San Diego and 90 miles southeast of Los Angeles. 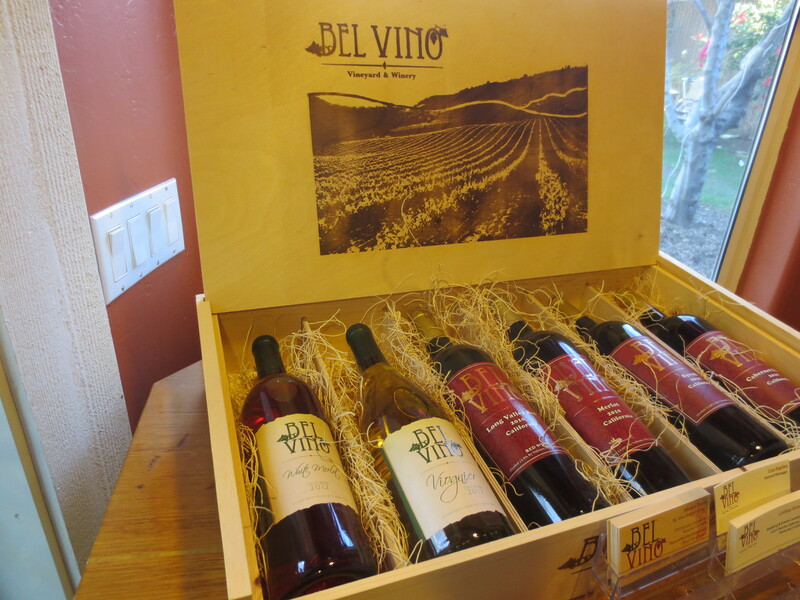 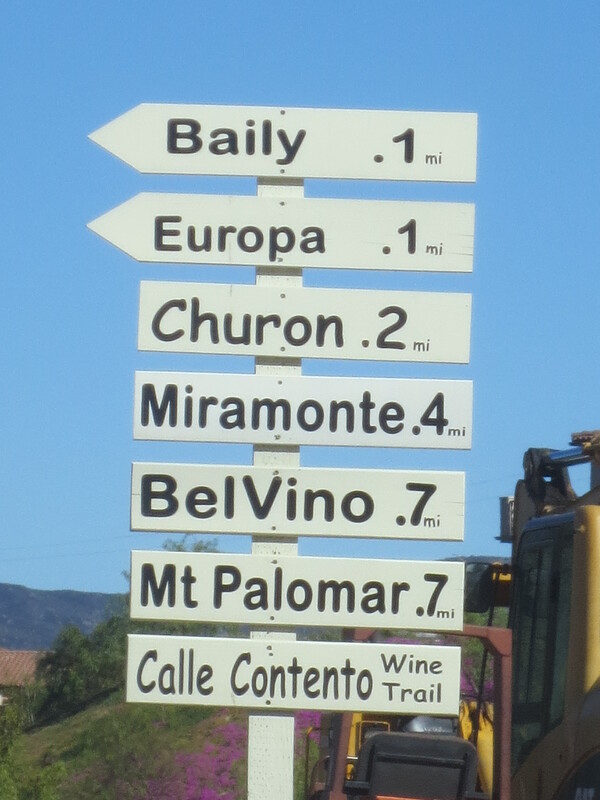 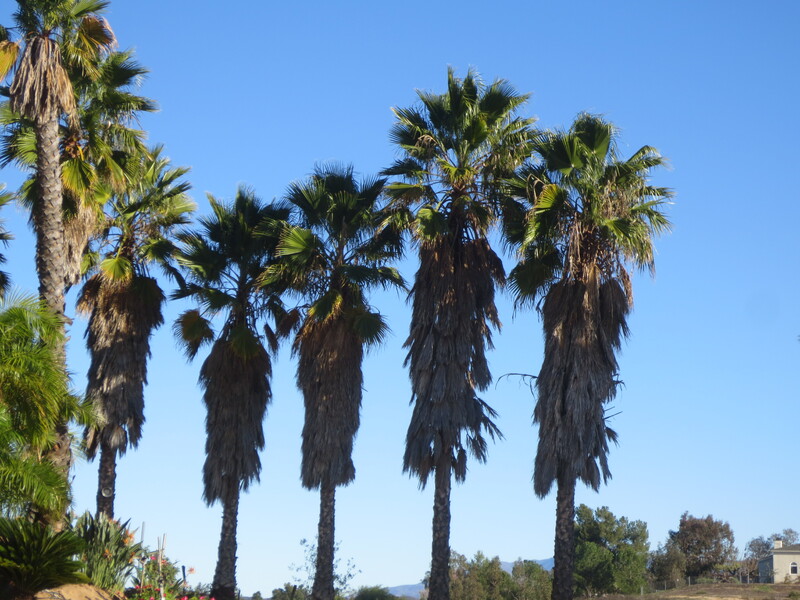 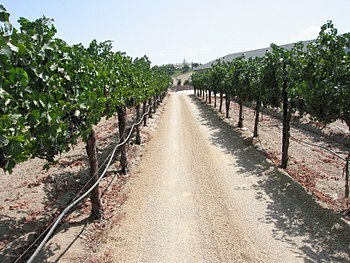 There are about 40 wineries located just a few miles east of historic Old Town on Rancho California. 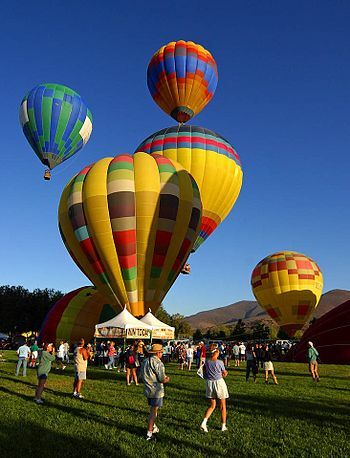 There is an annual Balloon and Wine Festival near Lake Skinner. 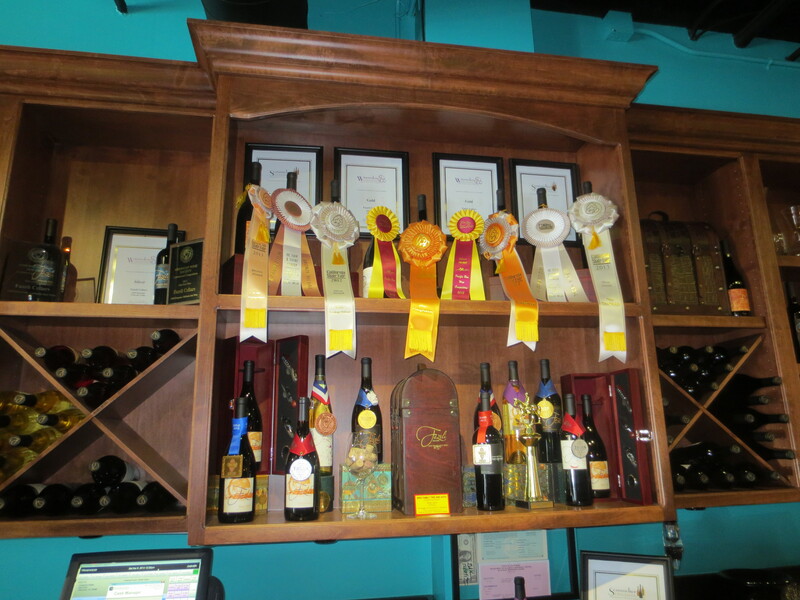 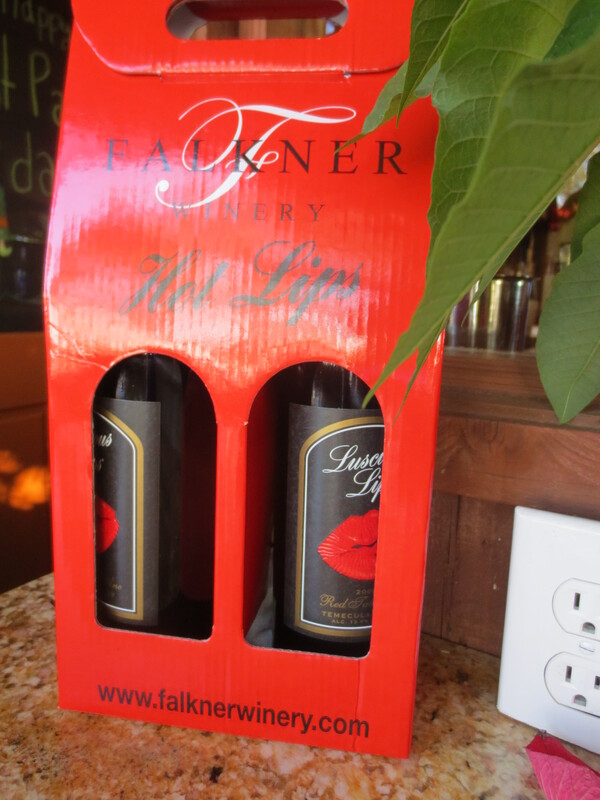 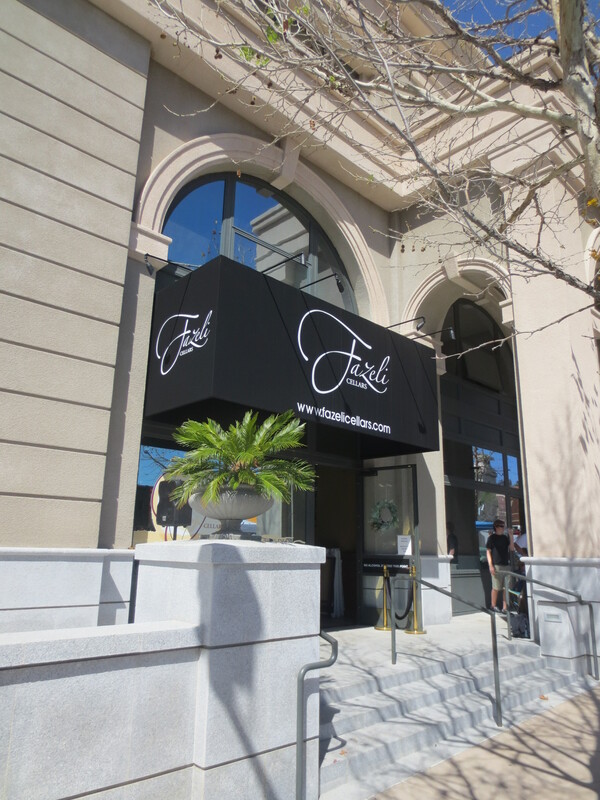 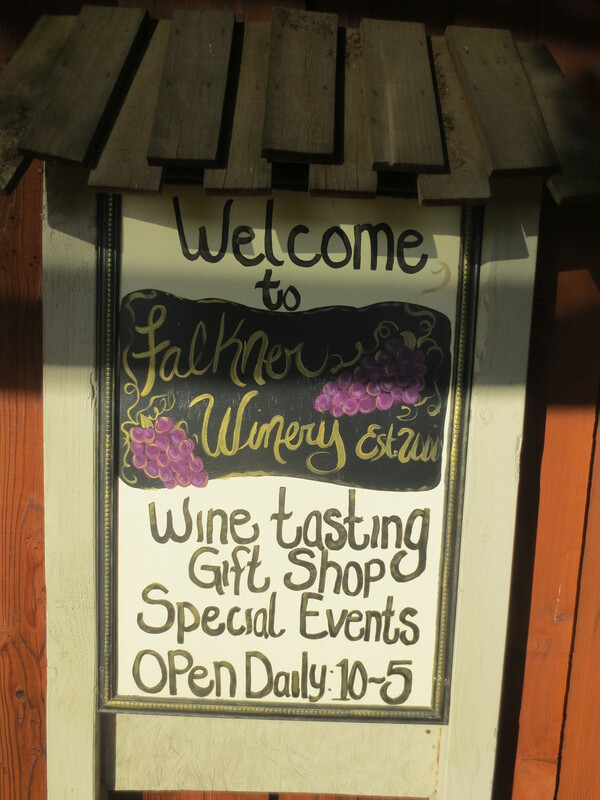 Many of the Wineries have tasting rooms near the veineyards, but Fazeli has a Tasting room on 4th Street in Old Town Temecula. 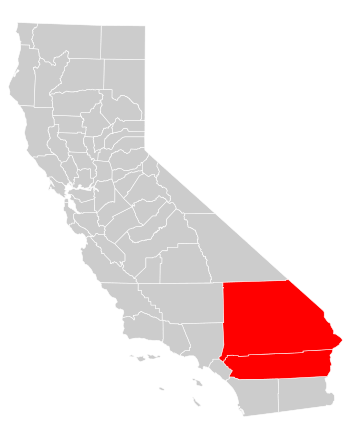 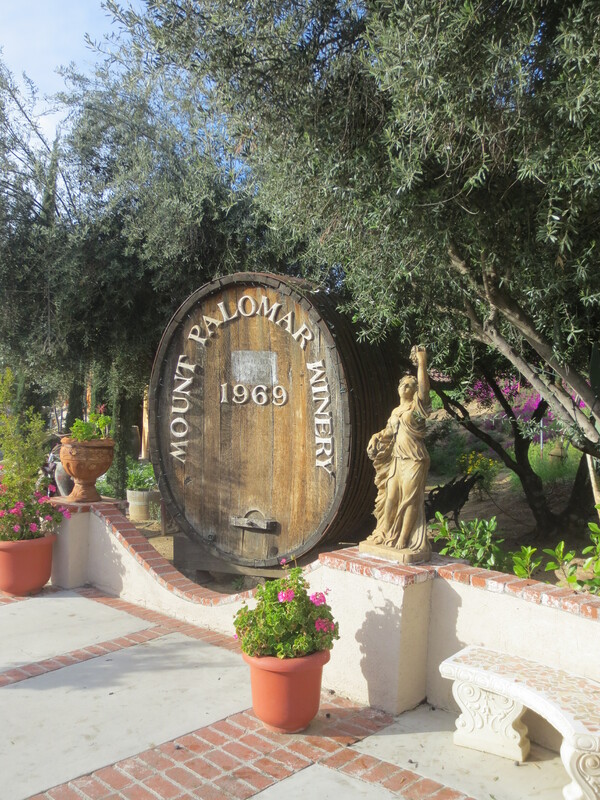 If you follow my posts, you know that winemaking started in California at Mission San Juan Capistrano with the mission padres in 1776. 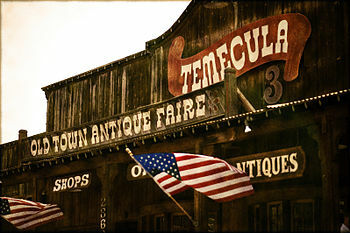 In Temecula, the mission wineries were established in 1820. 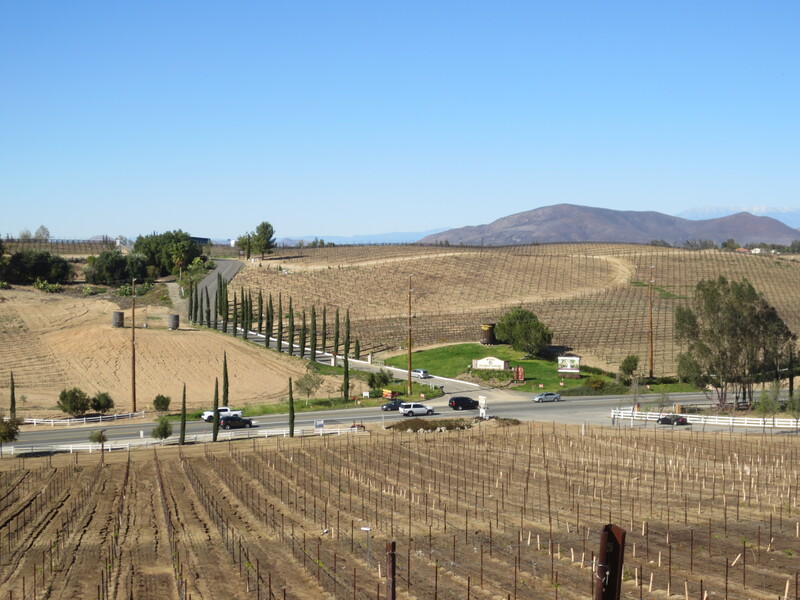 Today, many of the wineries and tasting rooms are located on Rancho California Road; this is the hub of the Temecula Valley Wine Country region. 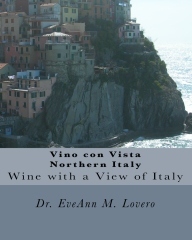 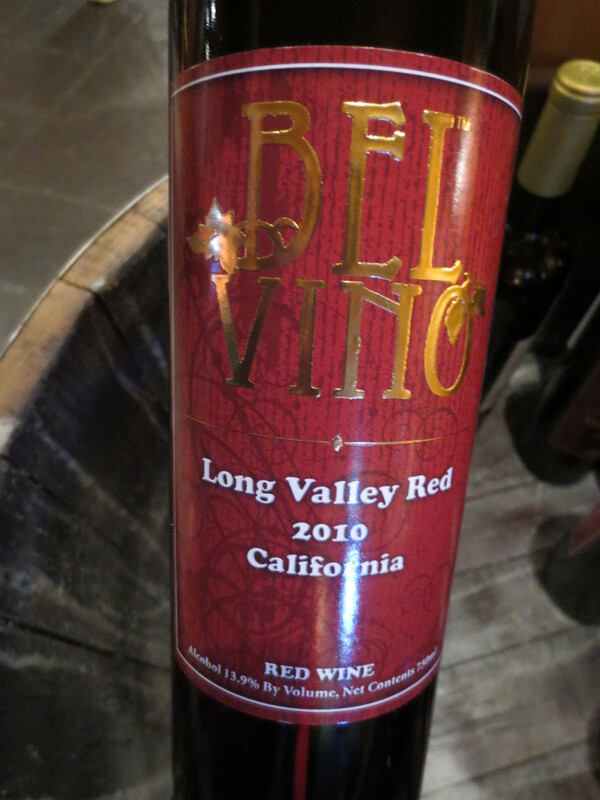 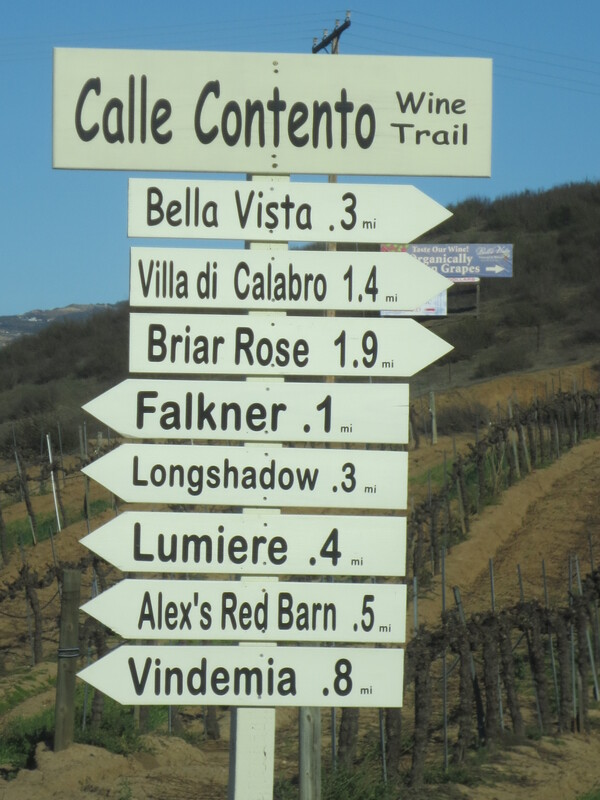 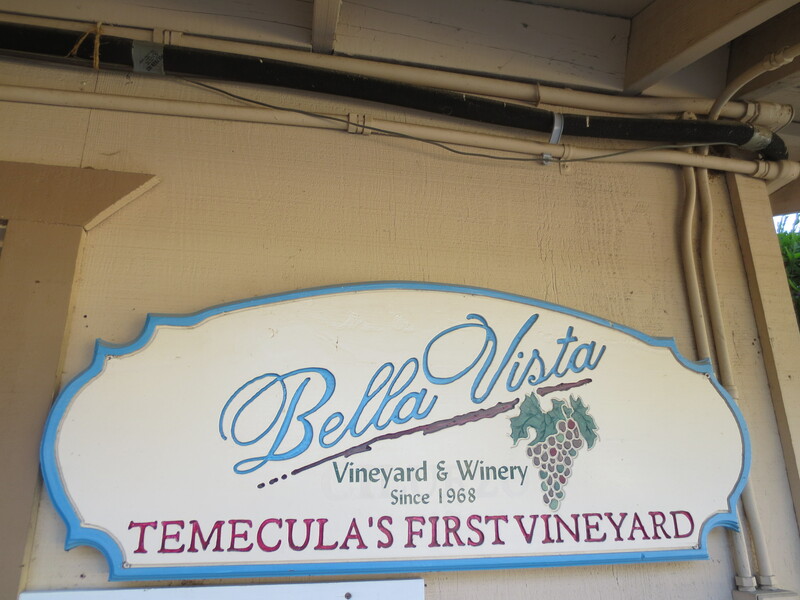 By 1968, Vincenzo and Audry Cilurzo established a vineyard in Temecula which is now The Bella Vista Vineyard and Winery. 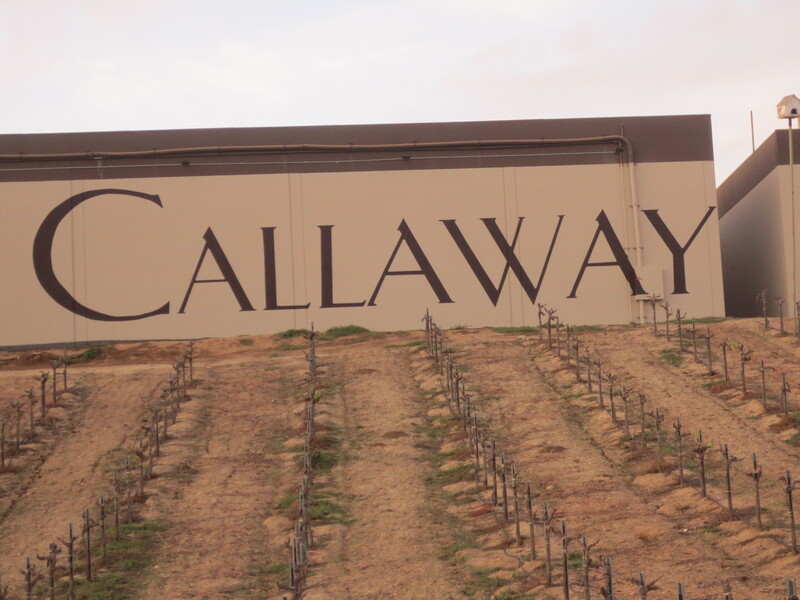 Callaway Vineyard and Winery began farming grapes in 1969 and John Poole opened Mount Palomar Winery in 1975. 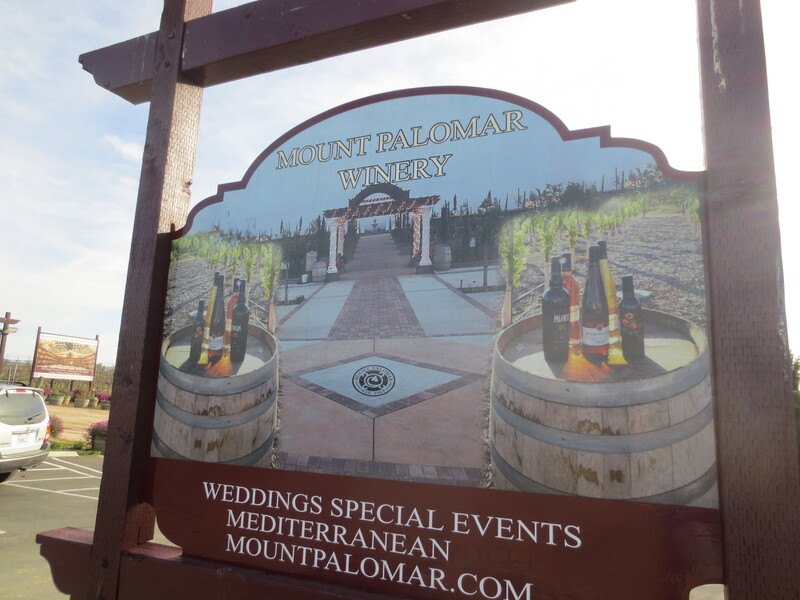 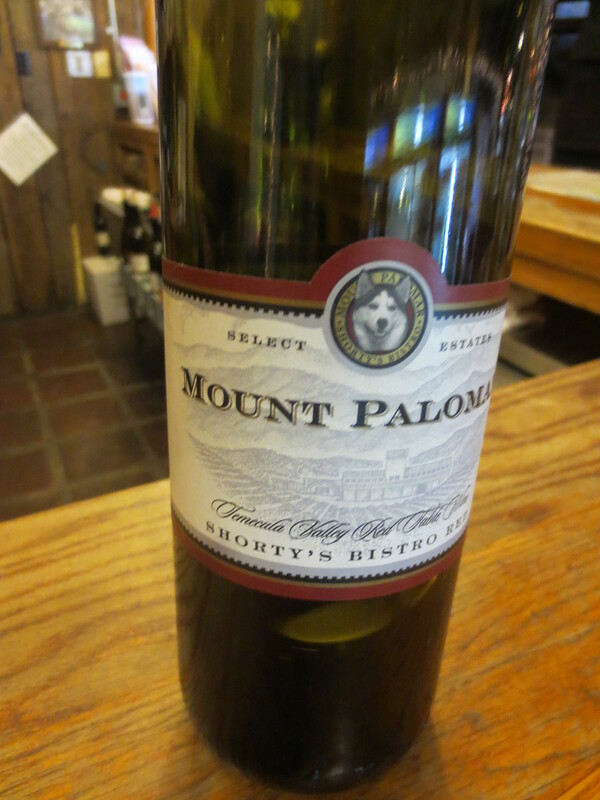 Mount Palomar is the highest vineyard in the area, perched at 1400 feet. 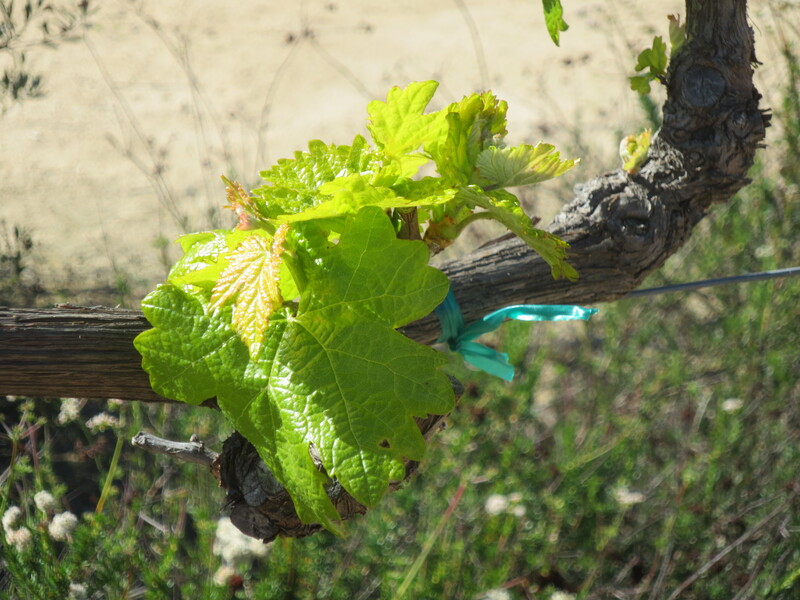 Grapevines require well-drained soils; soggy roots are not desirable. 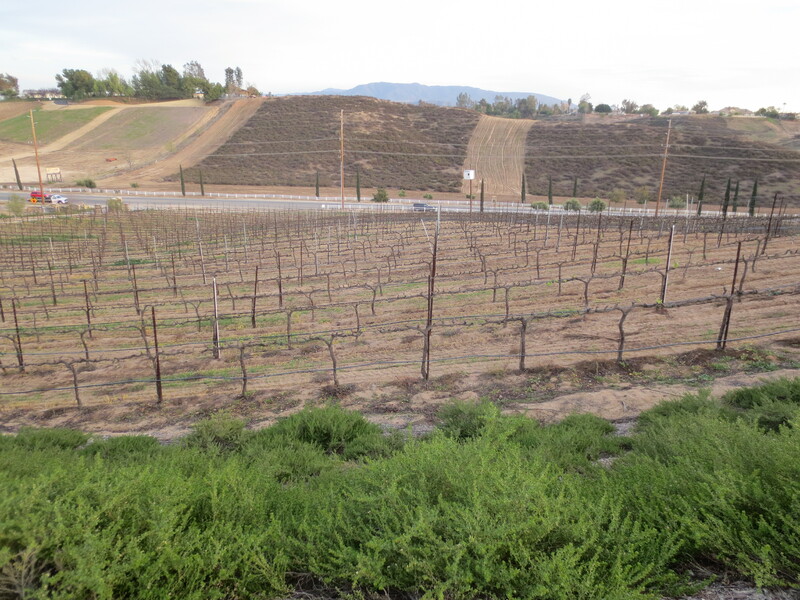 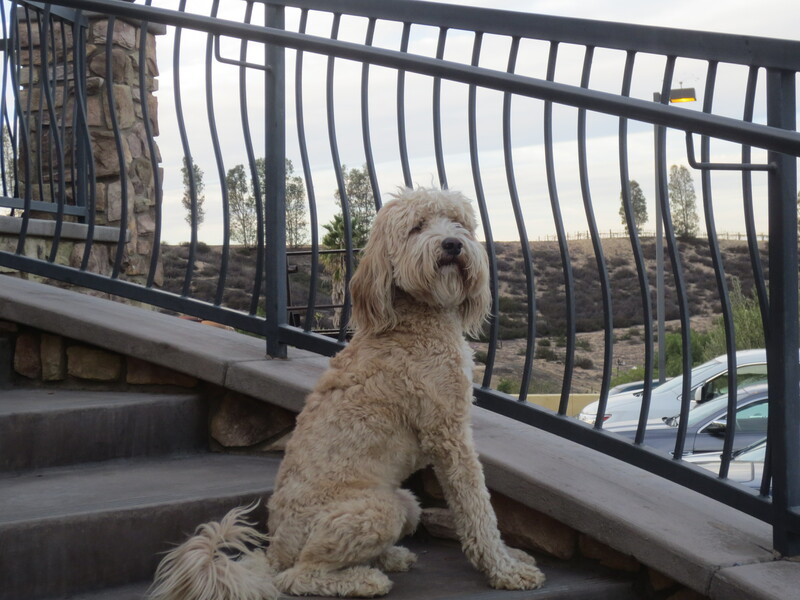 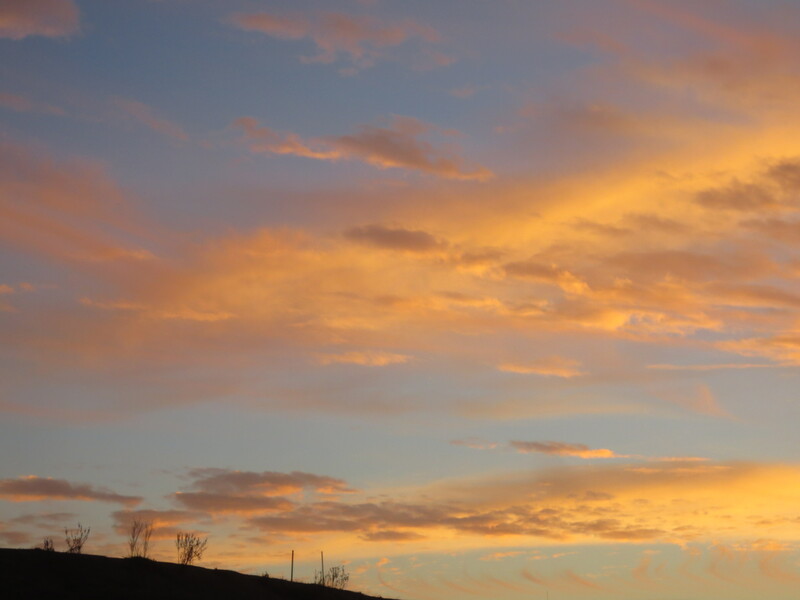 Sandy loam soils are found in Temecula; the water drains easily through the soil. 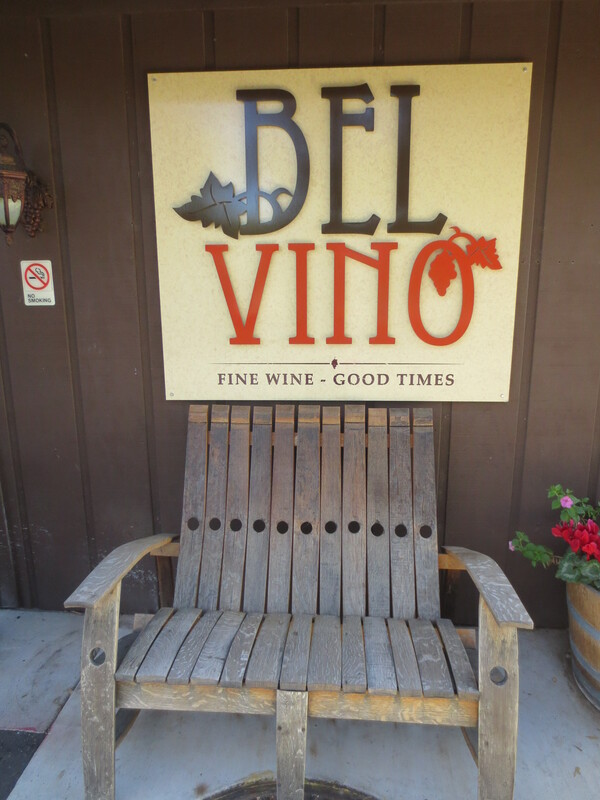 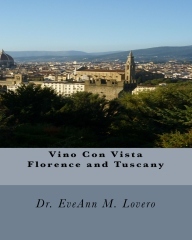 There are many places to stay in wine country if you want breathtaking views of the vineyards. 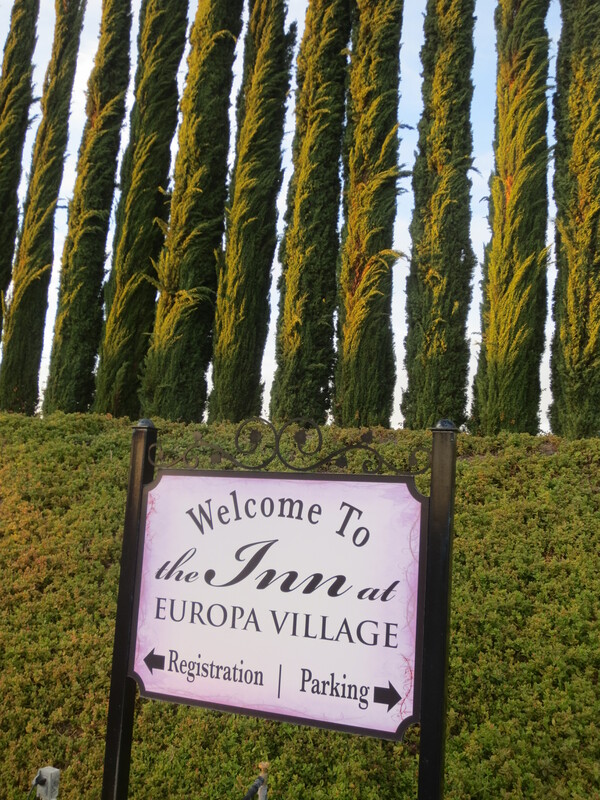 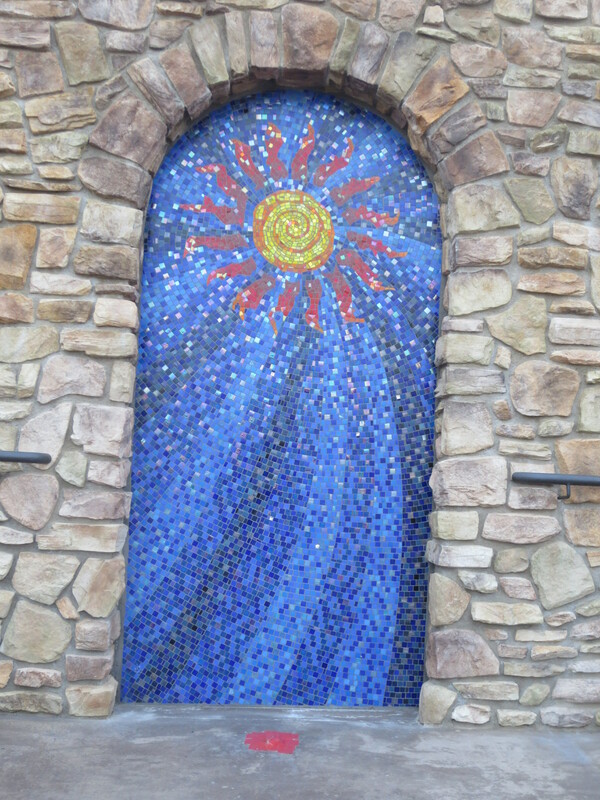 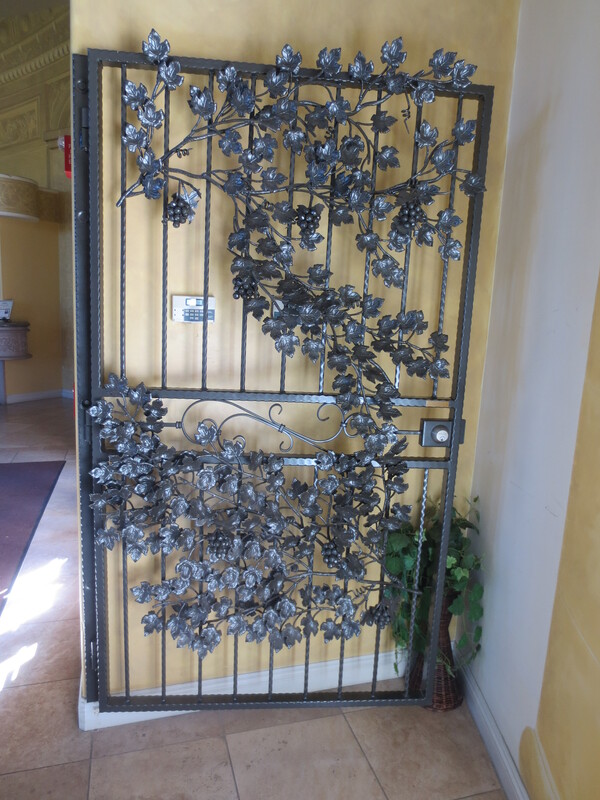 YOu can check out: The Inn at Europa Village 951-676-7047, the Four Diamond, 60 room upscale Ponte Vineyard Inn at 888-563-8885 (www.pontevineyardinn.com) or the lovely Inn at Churon Winery 951-694-9070. http://www.innatchuronwinery.com. 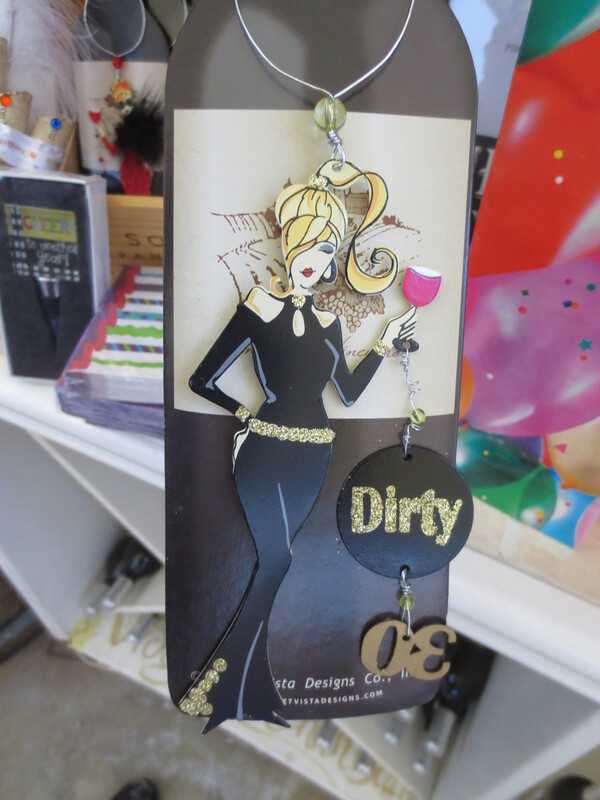 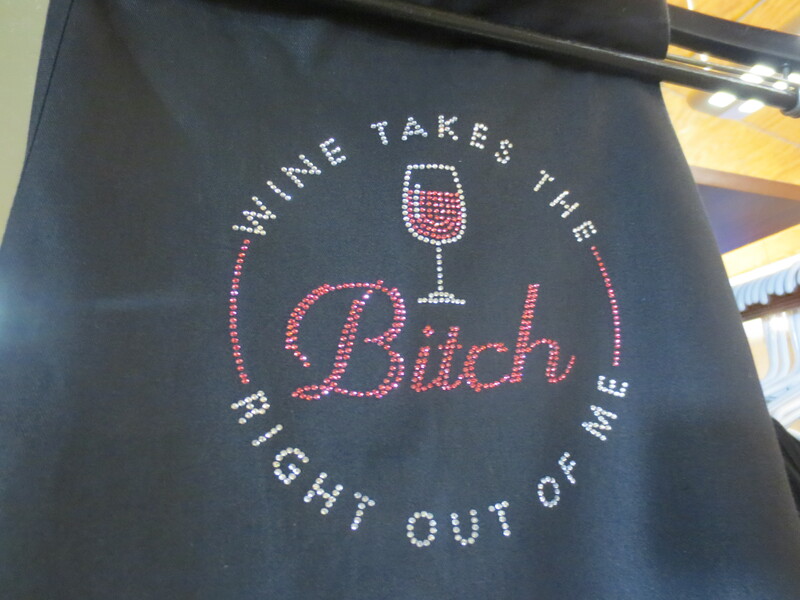 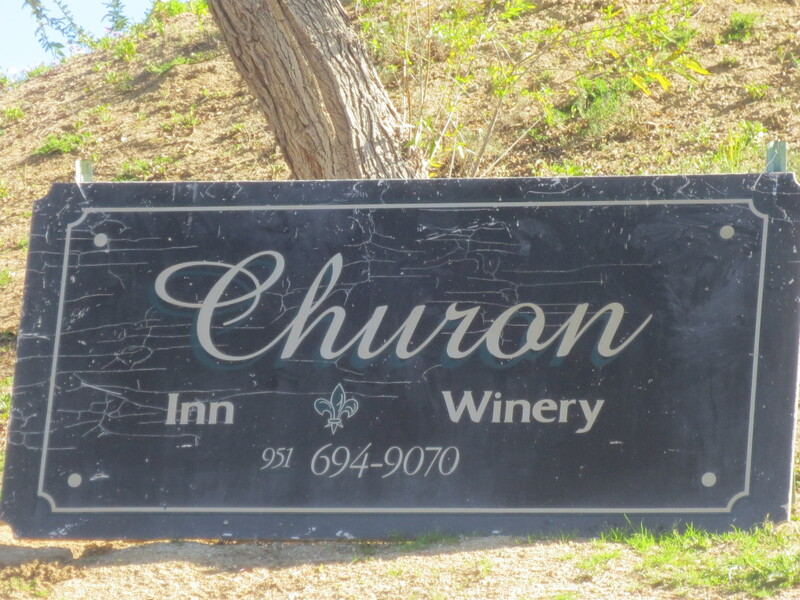 Churon has great retail items, so after your tasting get a few gifts for your wine-loving buddies. 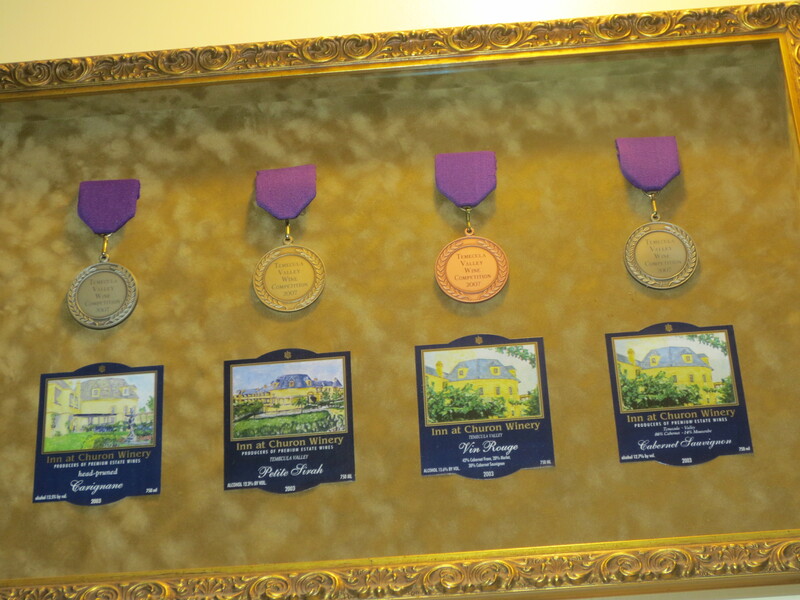 At Thorton Winery you can enjoy their award winning “Method Champenoise” and dine at Cafe Champagne and listen to their Champagne Jazz Series. 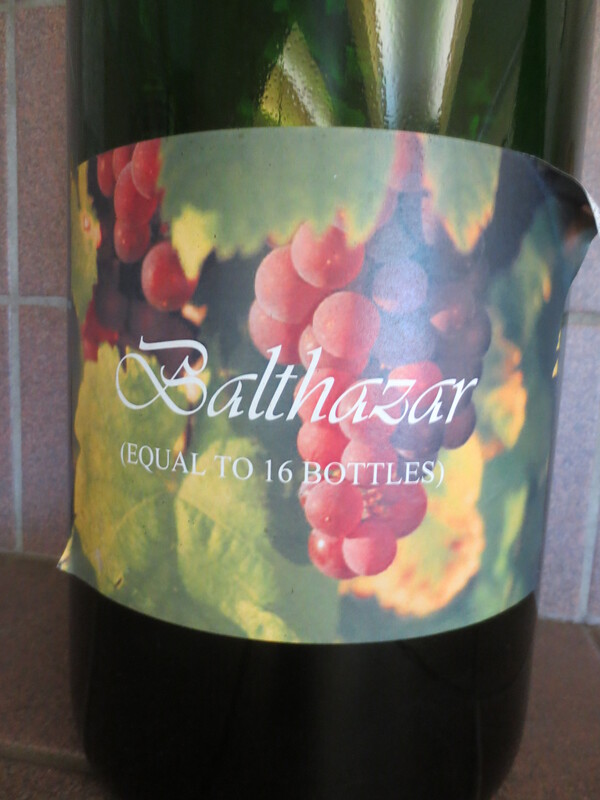 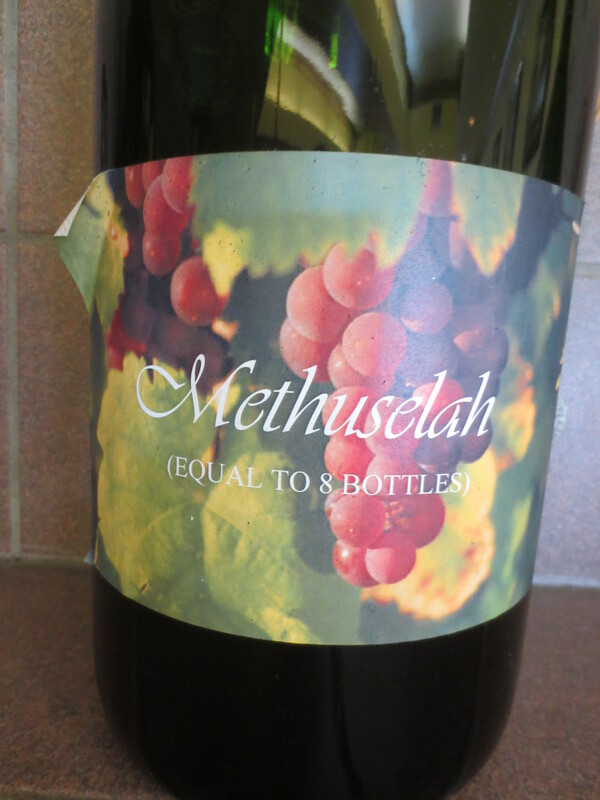 At Thornton Winery you will learn that a Balthazar is equal to 16 bottles of wine, a Methuselah is equal to 8 bottles of wine, and a Jereboam equals four bottles. 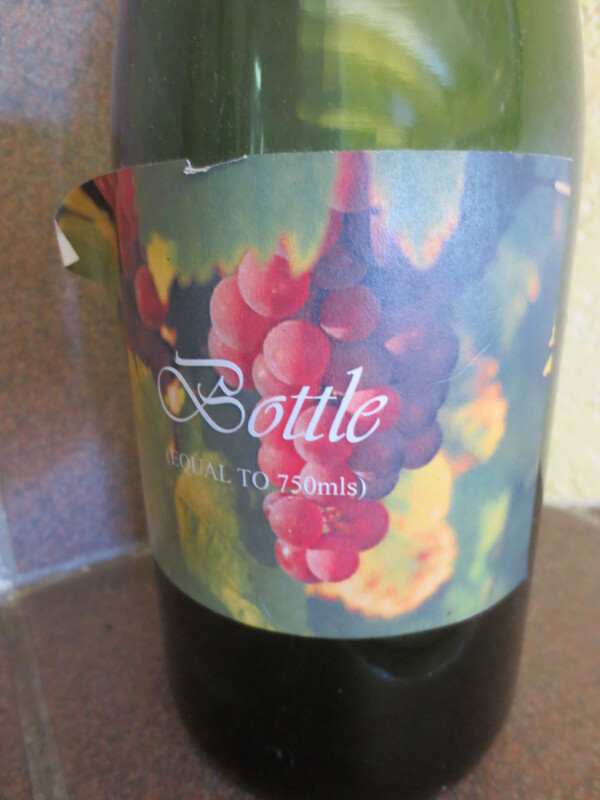 This issue will ultimately surface one day when you are talking a to a bunch of wine snobs. 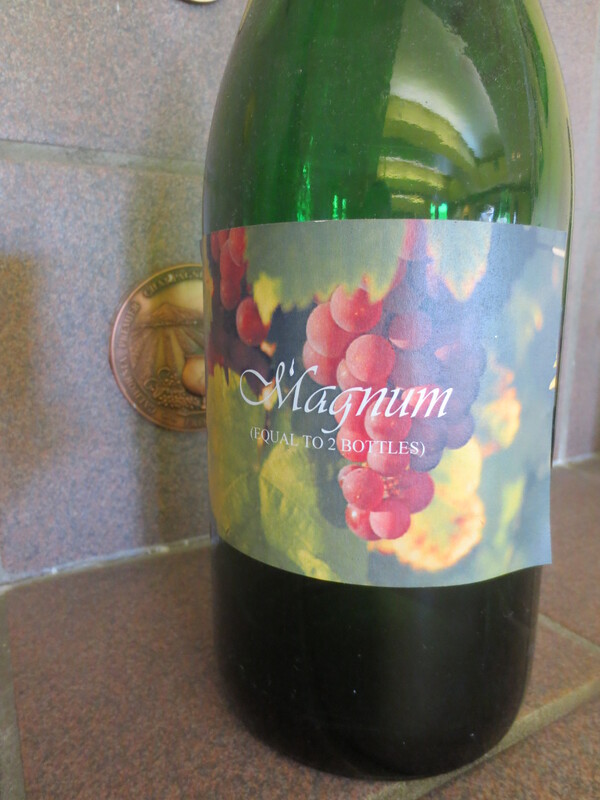 Of course, I prefer a Magnum (equals 2 bottles). 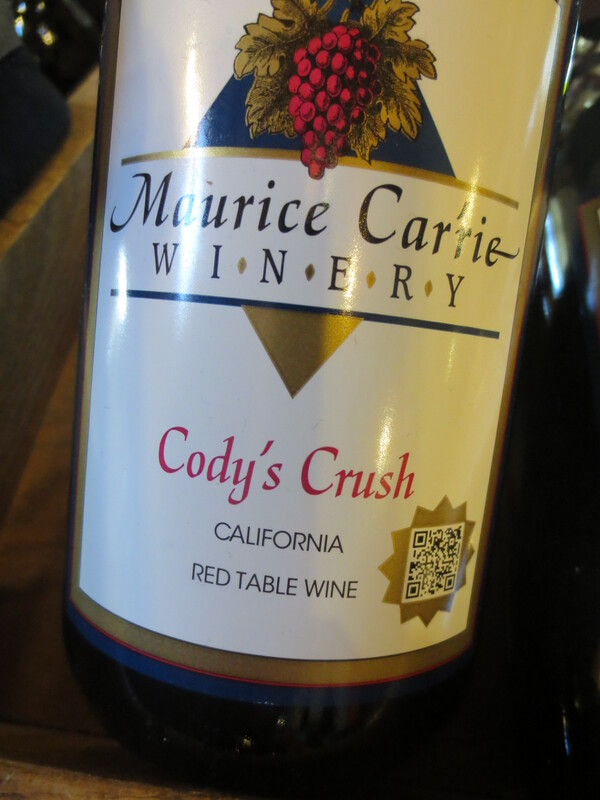 Now it’s time to head over to the Maurice Car’rie Vinyard and Winery, housed in a charming Victorian farmhouse. 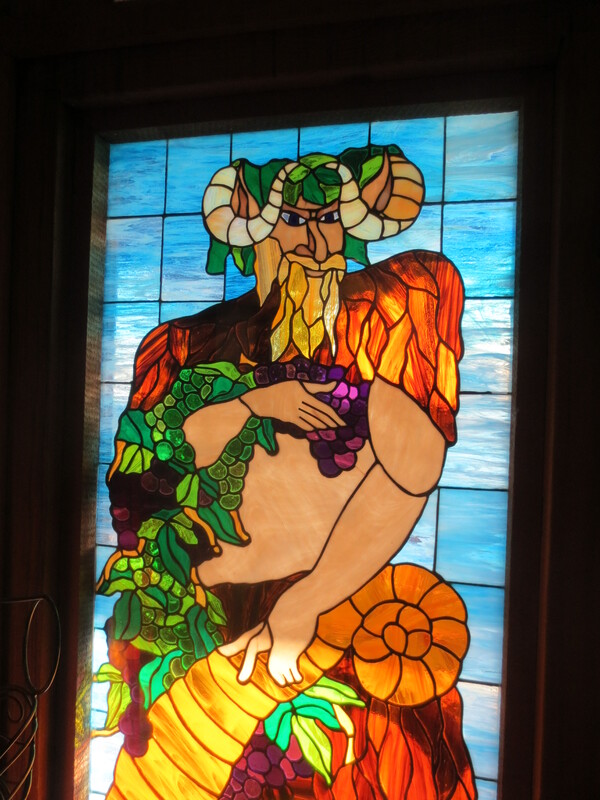 Don’t leave until you have tried the baked brie in sourdough bread and some Coddie’s Crush red wine. 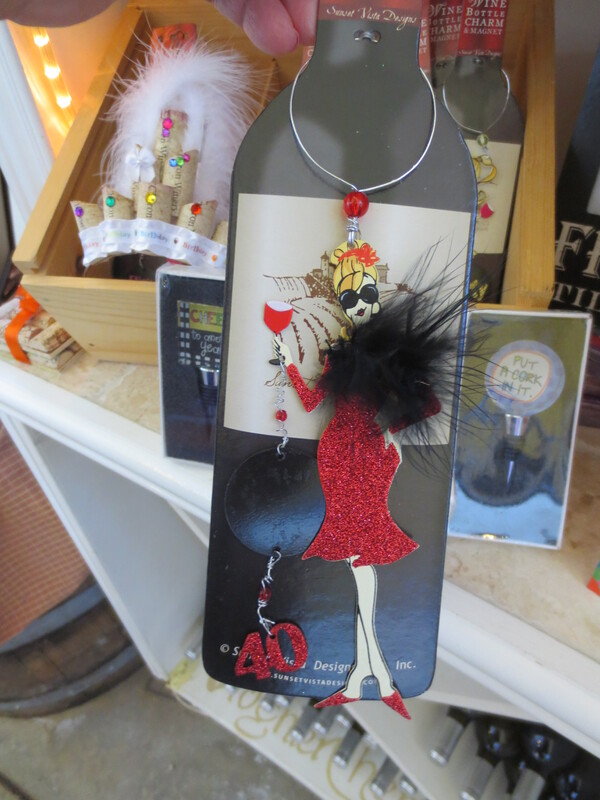 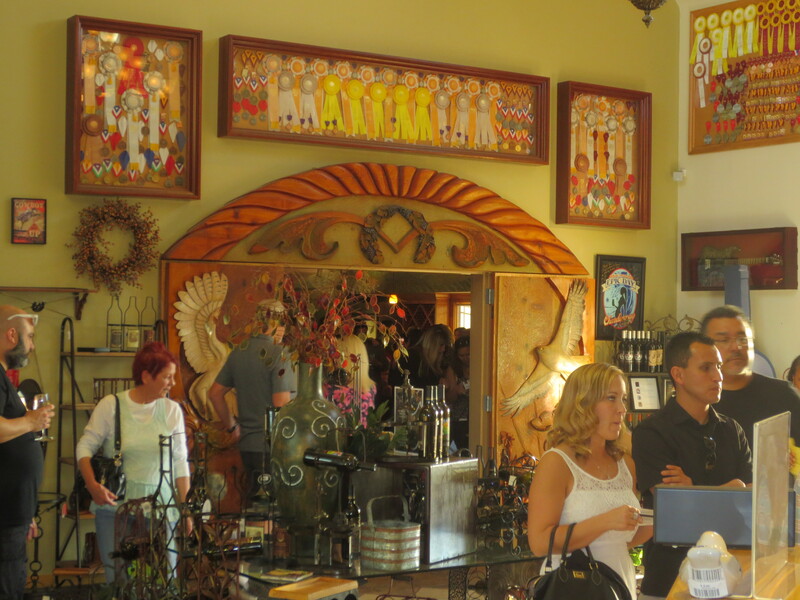 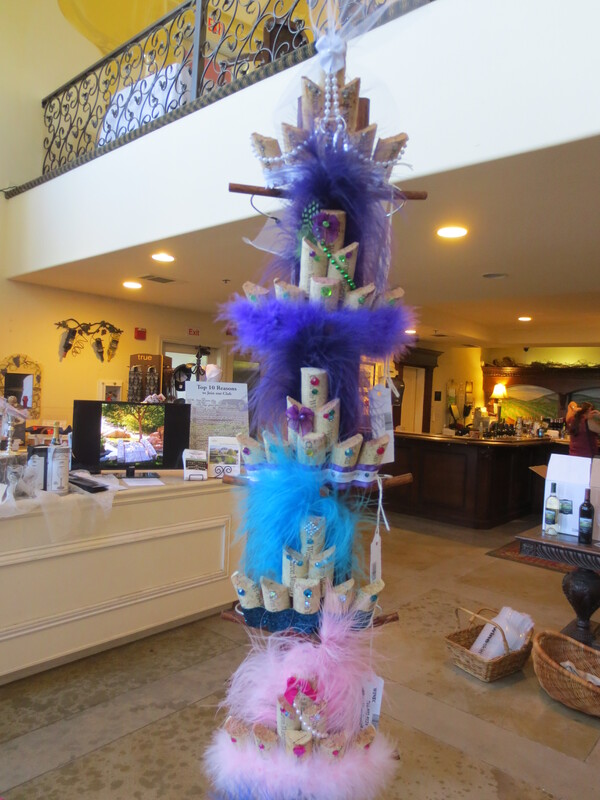 There are usually vendors selling artsy merchandise in front of the tasting room. 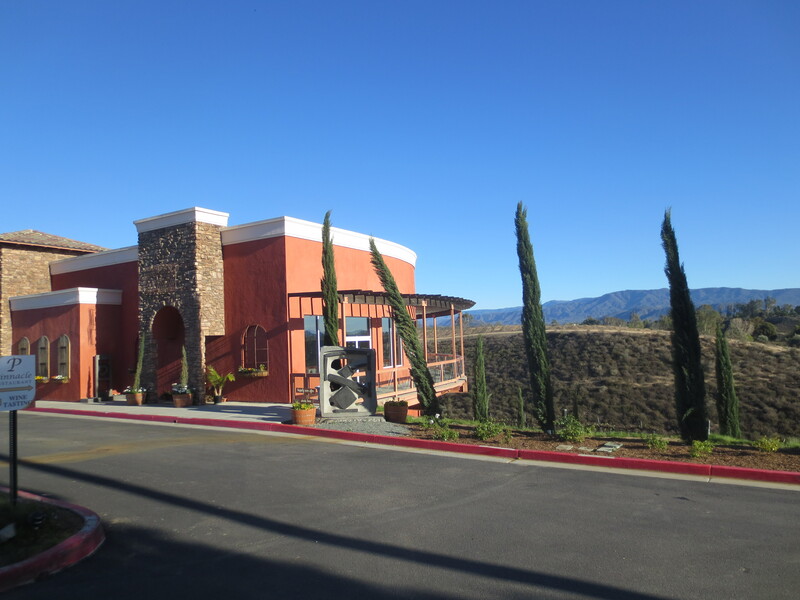 Now you’re ready for the hottest winery in Temecula; The South Coast Winery Resort and Spa at the corner of Rancho California and Anza Roads. 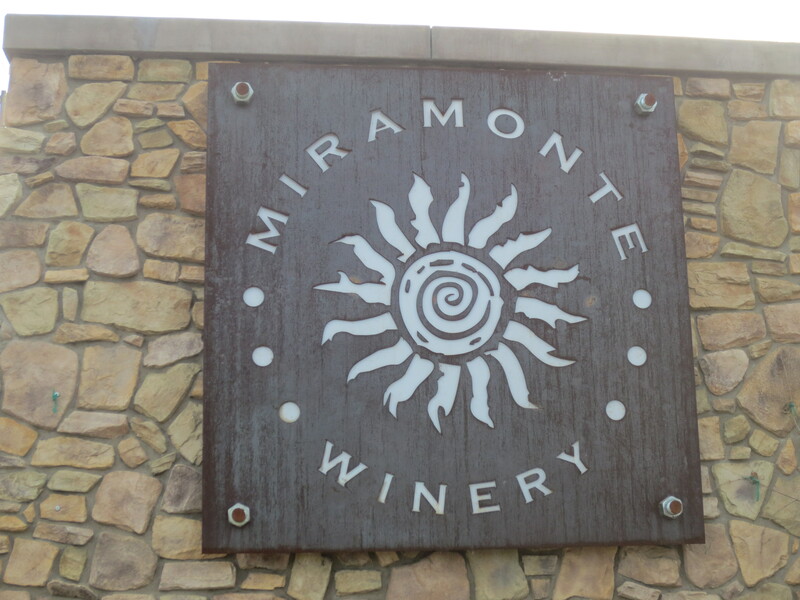 Try their Wild Horse Peak Brand fruity Meritage and Il Temporale. 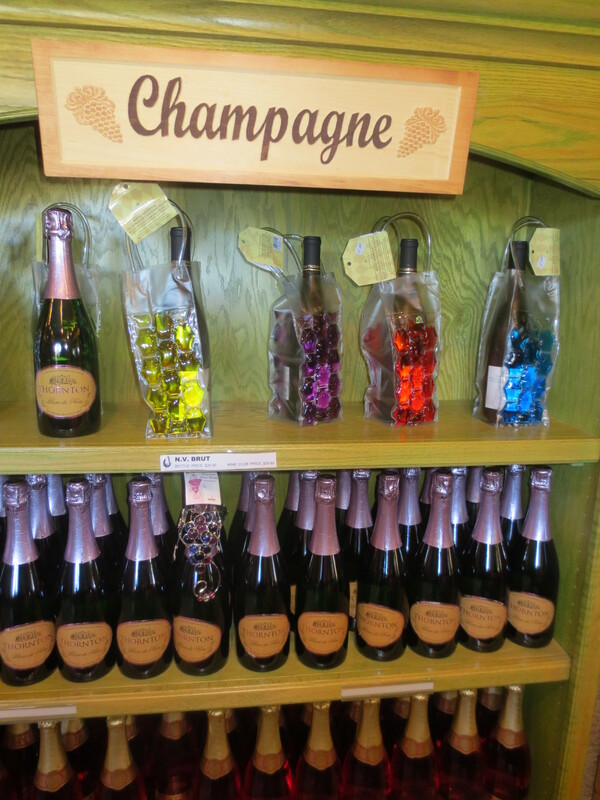 I also liked the Ruby Cuvee Sparkling wine. 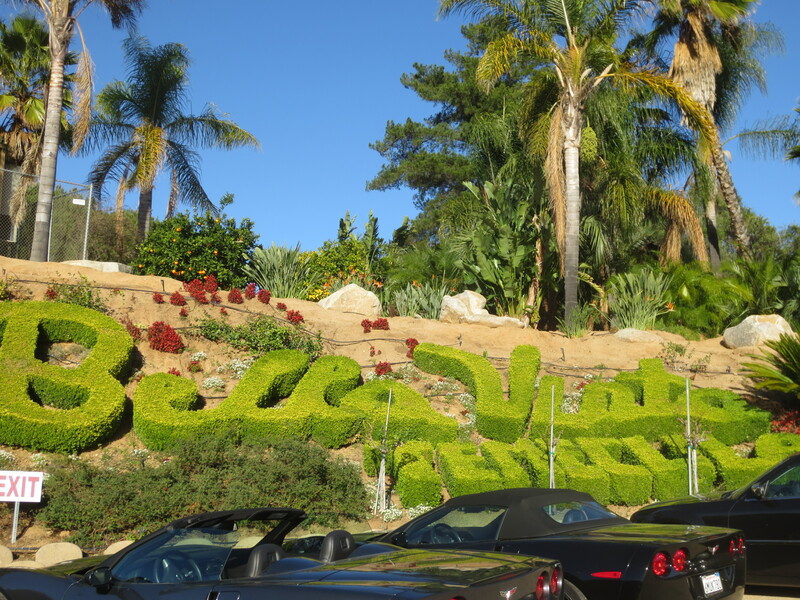 You might consider booking a Villa Package so you can swim in their saltwter pool. 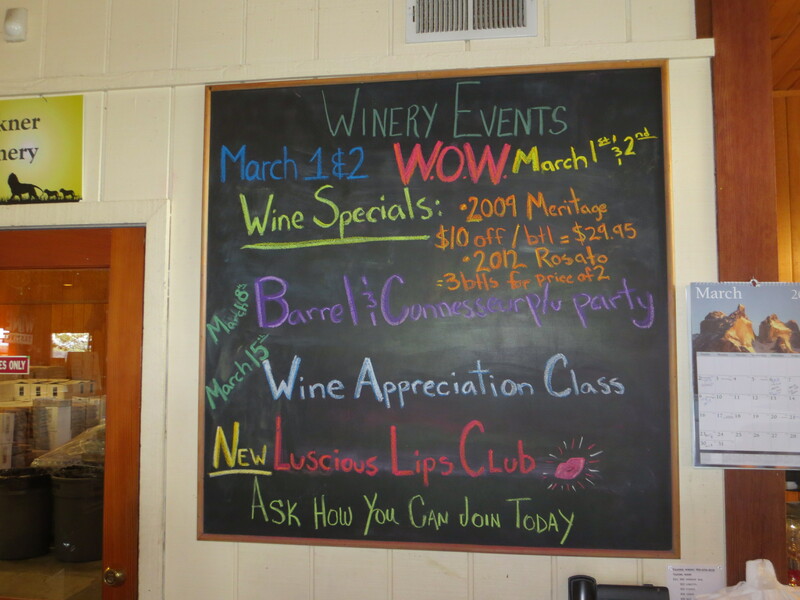 In addition to live music, many of the wineries host special events. 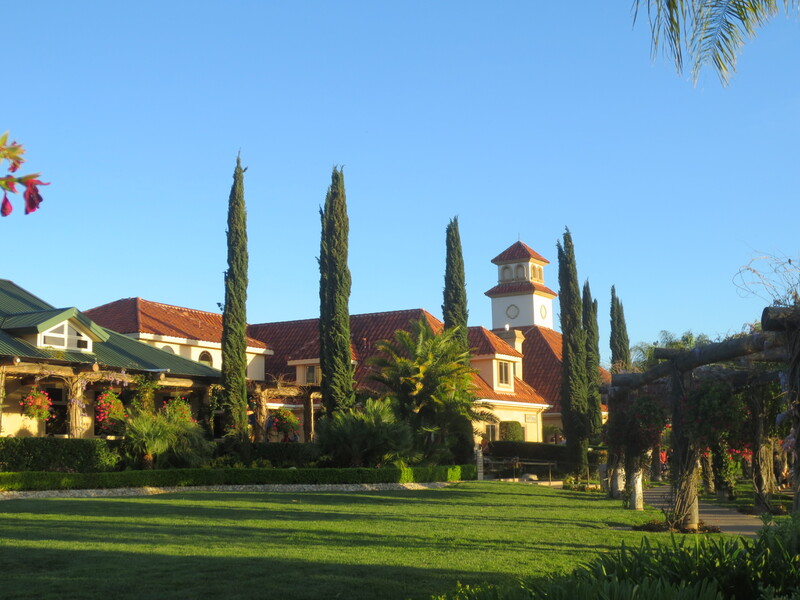 On March 30, 2014, at the incredibly swanky South Coast Winery Resort and Spa, you can witness the 10th annual “Blessing of the Vines”. 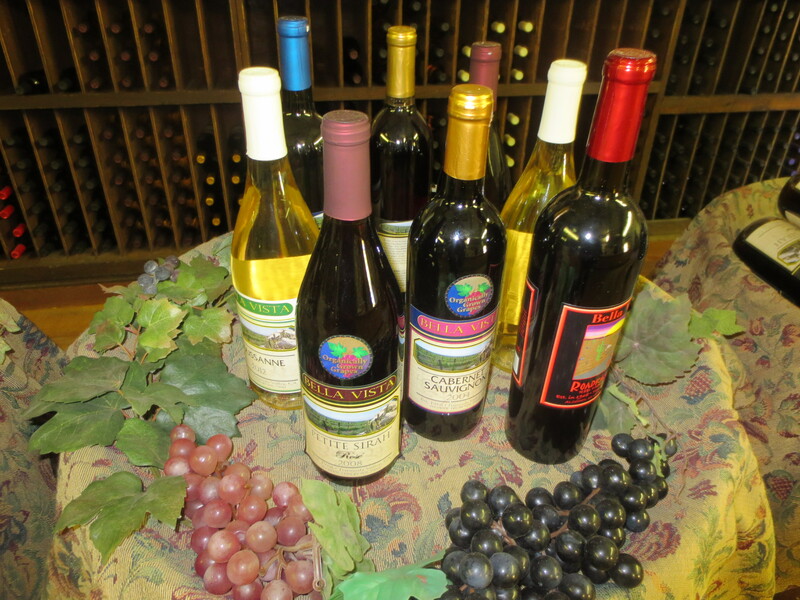 They will also be hosting some Winemaker Dinners so call 800-536-1375 for reservations. 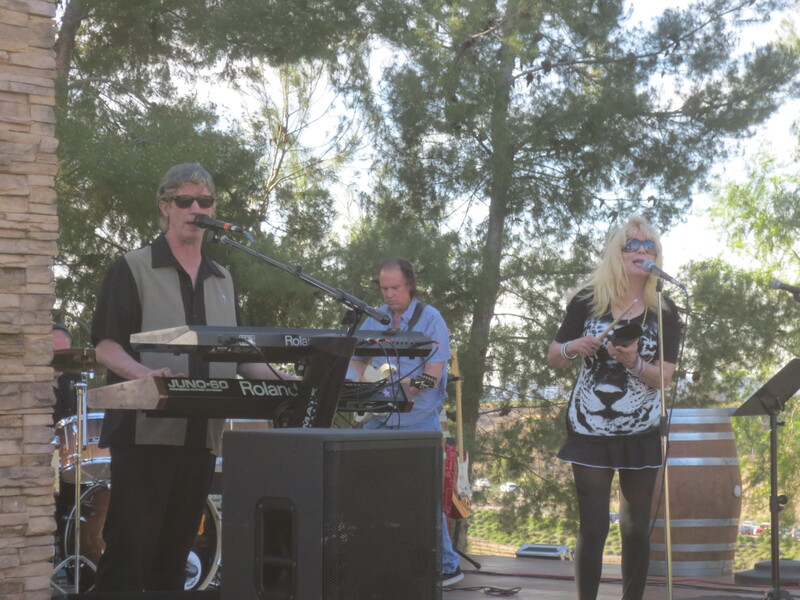 On May 4, 2014 they are having a “Shake, Rattle n Roll Party”. 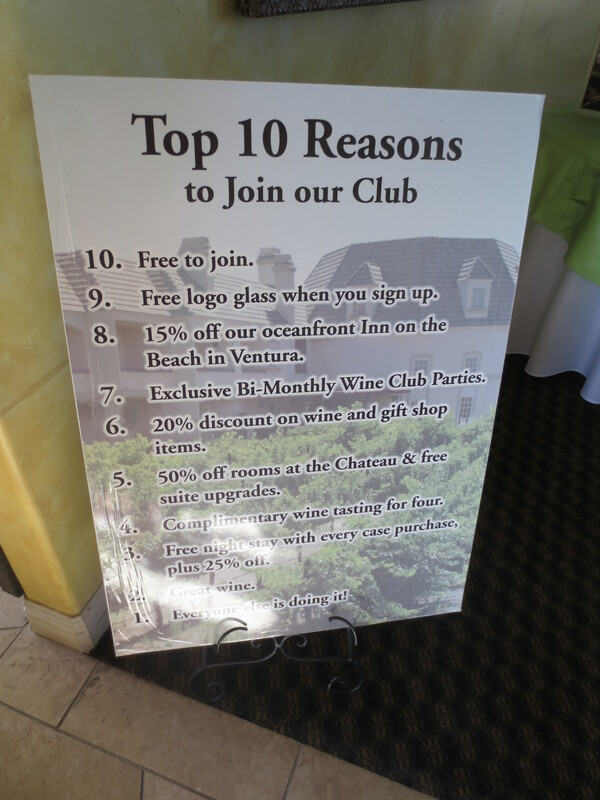 There are many “Members Only Resort Specials”. 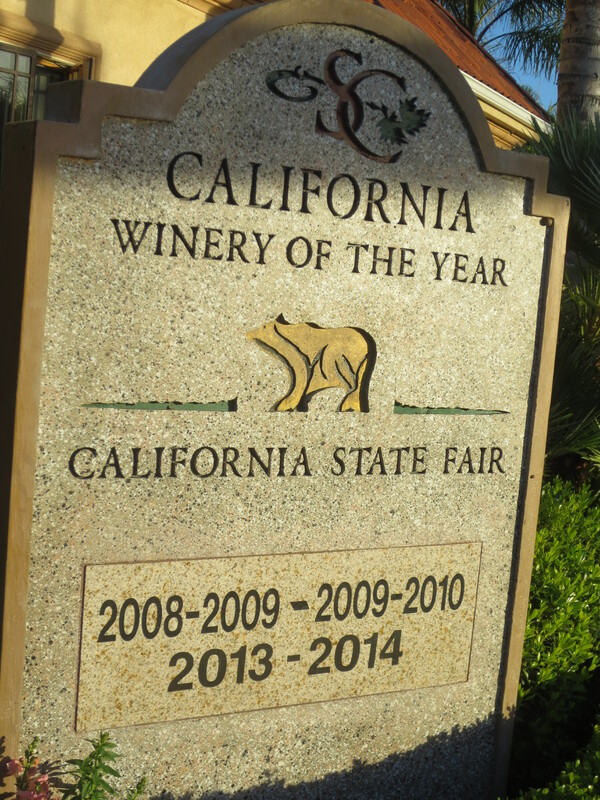 This winery, Resort and Spa was named “Best Winery in California” for two consecutive years and then they won again for 2013-2014. 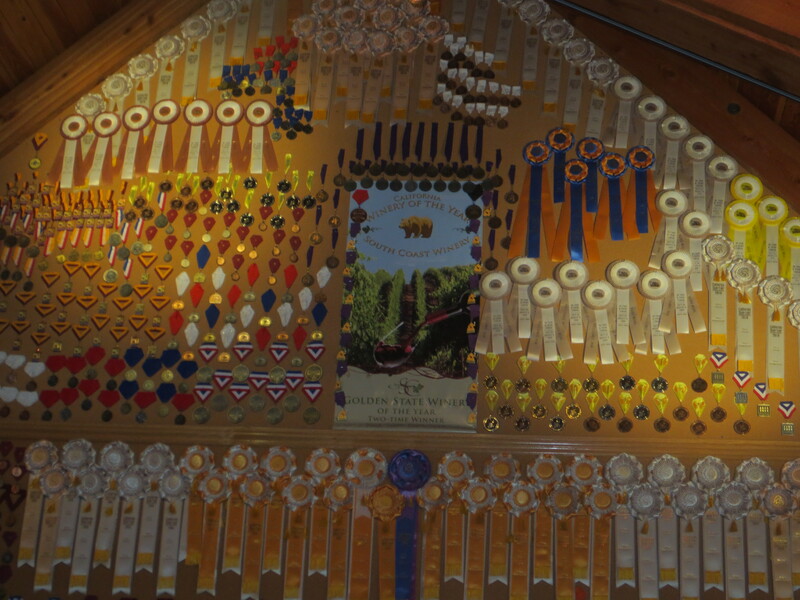 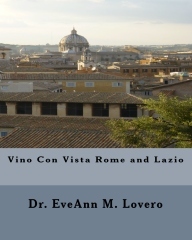 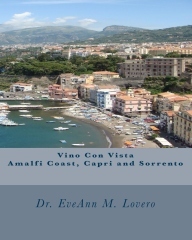 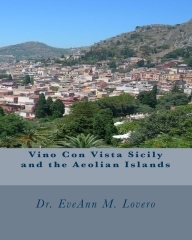 Their wines have won over 1,600 awards. 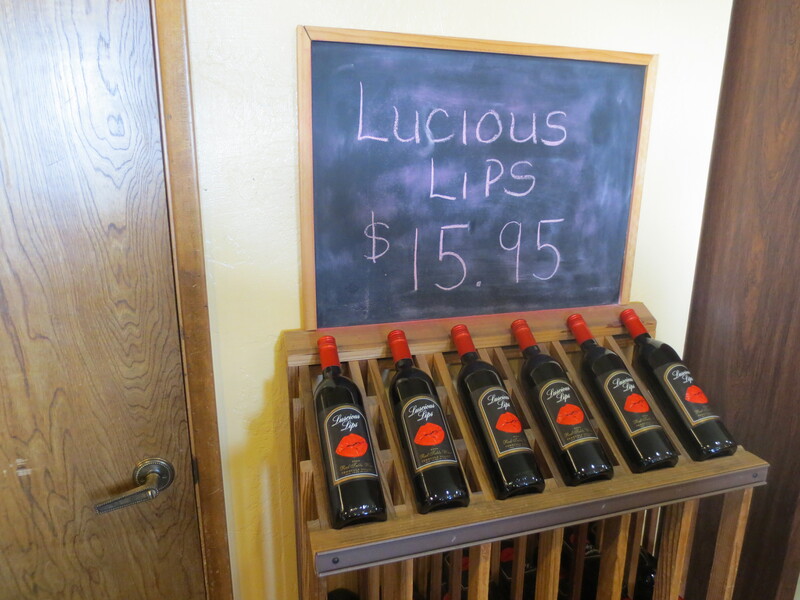 http://www.southcoastwinery.com Have lunch at the Bel Vino Winery. 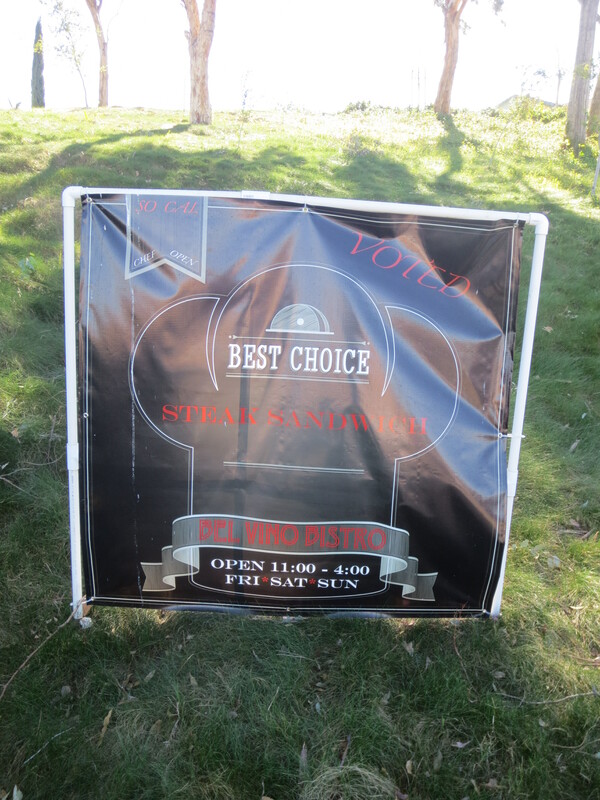 I ordered a delicious steak sandwich when I saw the Inland Empire Award Winning Chef banner. 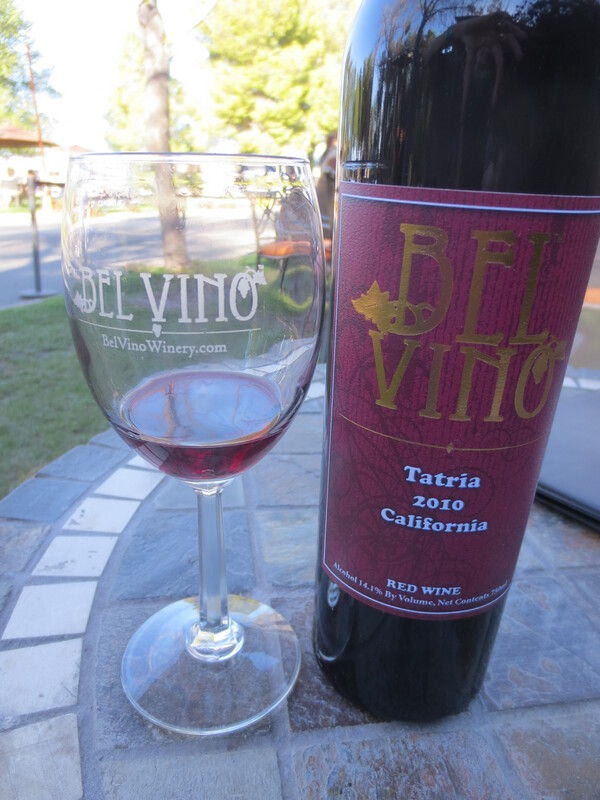 The waitress suggested a glass of the 2010 Tatria Red Blend; with Cabernet Sauvignon, Merlot and Cabernet Franc. 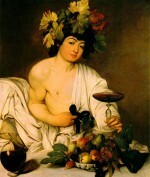 I thought it was fruit forward and luscious. 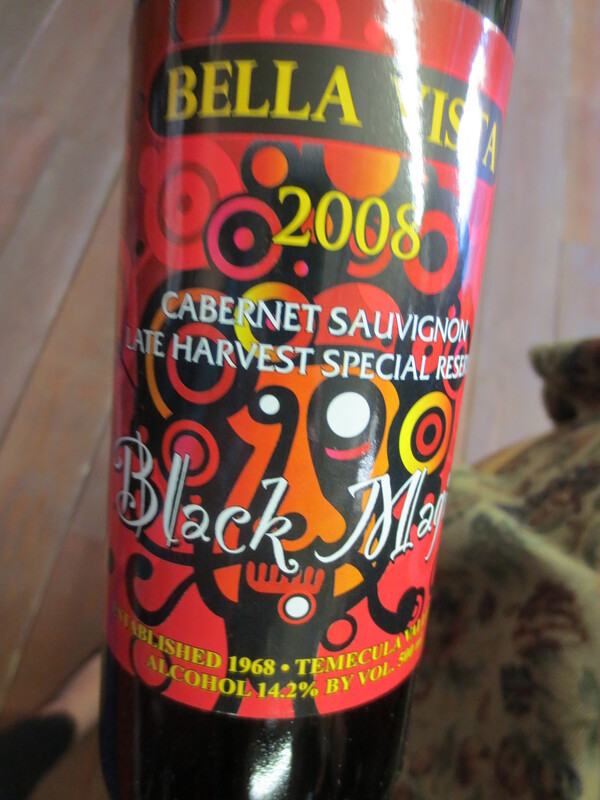 It paired perfectly with my hearty steak sandwich. 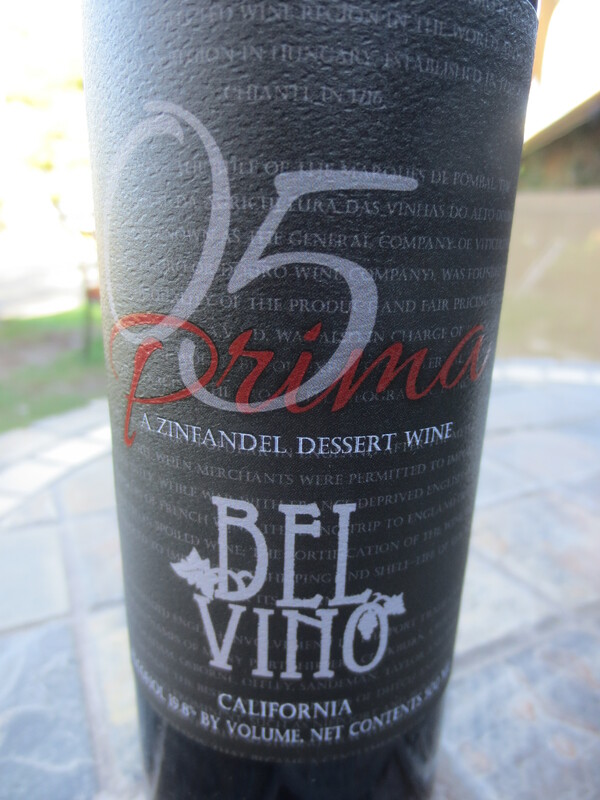 Then I ordered a glass of the outstanding Zinfandel Port; a 2005 Prima dessert wine that was amazing! 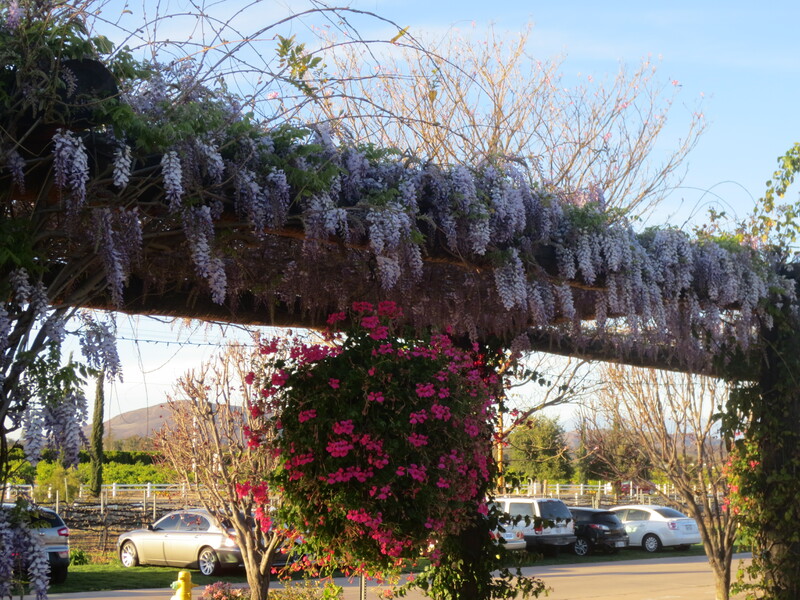 I dined outside and listened to the live music under the canopy. 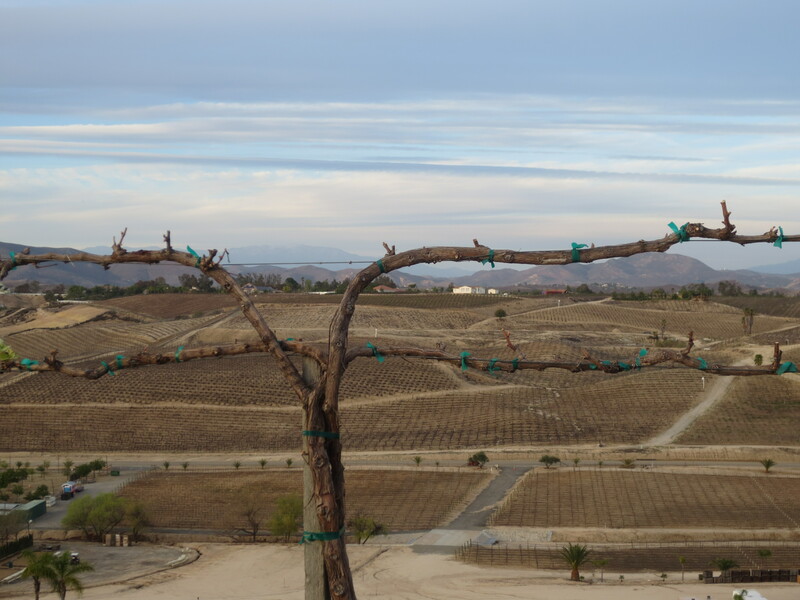 It was the perfect Vino con Vista day!